There are some amazing cruises out of Florida – and so much to see and do at each port city! Florida is surrounded by the ocean on three sides, which is why it has more cruise ports than any other state. To be exact, there are five Florida cruise ports, and each one is located in an area that is full of exciting things to see and do. Before you sail, or after you return, take some time to enjoy the sights around the area of your cruise ports in Florida. Choose from Miami, Ft. Lauderdale, Jacksonville, Tampa, and Port Canaveral ports for cruises from Florida. Miami is considered to be the Cruising Capital of the World! Click here to browse our sailings out of Florida. Here at CruiseExperts.com, we have all the resources and agents to make it easy to select a fantastic cruise for you departing from Florida. We’ve put together a guide to introduce you to each port and the cruises they have to offer. Look over these exciting cruises, and then give us a call at 1.888.804.CRUISE (2784) so we can get you booked for your next vacation. 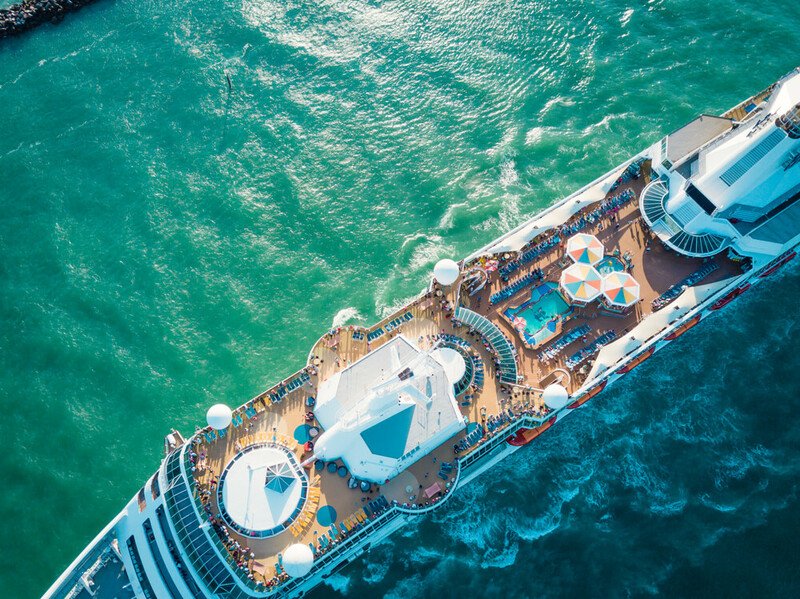 If you choose a cruise from the port of Miami and need flight reservations, we are happy to book those for you as well as your hotel if you plan to be there a few days before or after your cruise. We can also book the shuttle from the airport to the cruise port if you are arriving the day of departure. Cruises from Miami include tropical paradise cruises to the Bahamas, Caribbean, Western Caribbean, Eastern Caribbean, Southern Caribbean, Cuba, Panama Canal, Mexico, and South America. Just imagine visiting Havana, Cuba and stepping back into the past, laying on a beach in the Caribbean sipping on a delicious mango mojito, exploring Mayan ruins on the Mexican Riviera, viewing the amazing engineering feat of the Panama Canal, or visiting historic sites in South America. Click on the link below to find a cruise that fits your budget and time allowances, or give us a call at 1.888.804.CRUISE (2784). There is never a charge for our services, and we are excited to help you with all your cruise and travel needs. Choose a cruise from the Port Everglades to escape to beautiful tropical islands, visit quaint little villages, buy local crafts, and walk in the soft warm sand. You can go snorkeling in coral reefs or deep sea fishing in the clear waters of the Caribbean. Ride in a classic car in Havana or enjoy the national drink of Cuba, a rum and coke. Historic ruins are found in several Mexican ports. Cruises you can take from Port Everglades include those to South America, the Caribbean, the Bahamas, Bermuda, the Panama Canal, and Trans Atlantic (Nova Scotia – St. Johns – Isafjord and Reykjavik, Iceland – Scotland, – Ireland – England. The Panama Canal is one of the wonders of the new world, and seeing it is an amazing experience. Click on the link to view these and more fantastic cruises. Our team of cruise consultants and support staff, based in Central California, counts nearly a century of combined talent, knowledge, and enthusiasm in the travel industry. We’re not just another internet upstart; our seasoned team has gained the trust and business of thousands of satisfied cruise and land vacation customers from all over the country since 1995. We ARE the original Cruise Experts. When do you want to start your cruise? Can You Smoke on a Cruise Ship? © Copyright 2019 CruiseExperts.com, All rights reserved.